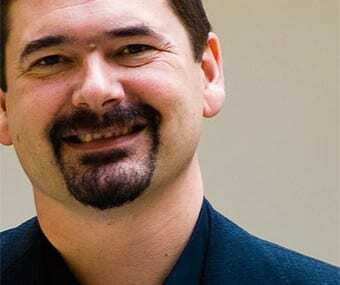 Icelander Jon von Tetzchner is the CEO of Opera Software, a company notable for its development of a successful web browser that’s not called Internet Explorer or FireFox. Opera started in 1994 as a research project inside Norwegian telco Telenor but was abandoned and spun off as a separate company a year later. As well as going up against web browser giant Microsoft on its home turf of the desktop space, Tetzchner spotted a great opportunity in the mobile devices and consumer electronics spaces, which promptly became a focus of Opera’s development. Today, the world’s most popular mobile web browser counts over 20 million users and is available for any Java capable handset including Symbian, BlackBerry, Palm, Windows Mobile and various flavours of Linux. Tetzchner is also known for his humour and marketing acumen. In 2005 he proclaimed that if the download numbers of Opera 8 reached one million within four days, he would swim across the Atlantic Ocean from Norway to the US. The million was reached and less than a week later the Opera site catalogued the Atlantic swim attempt, and its prompt failure, with plenty of photos. Actually, Tetzchner is Norwegian-Icelandic. His father is Norwegian and his mother Icelandic. He was educated in Norway and founded his company in Norway.